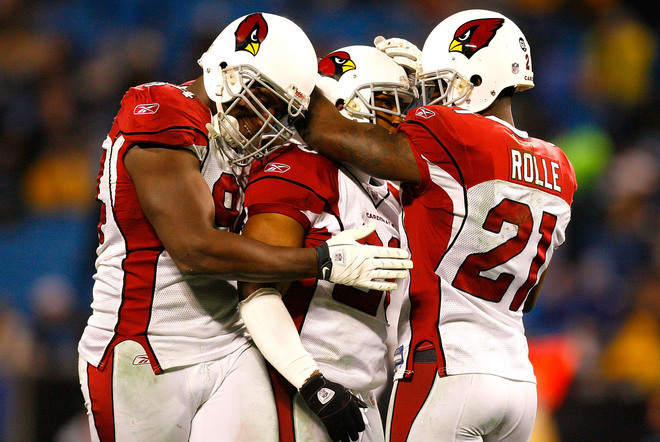 Karlos Dansby and Antrel Rolle are two Cardinals now with new teams. Now is the free agency booming or what?? T.O. hasn’t even been signed yet and alot of teams are making alot of moves to improve their teams future. How will the rest of the NFL market end up? They have Birds, Fish, Buffalo meat as well. Where is the Beef nowadays…..
Dont forget Warner left too!!! Now its Matty L’s turn with the franchise. I dont think they are going to do much in the NFC west next year. I like SF to take over that division. I like Antrell Rolle from his days back at the U but I think the Cards have upgraded in trading for Kerry Rhodes to team with Adrian Wilson. Giants get a good one though who will help that shaky pass defence from last season.